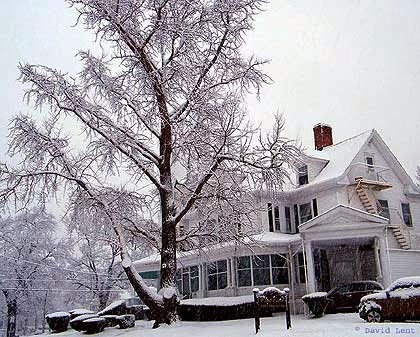 Beautiful photo of huge Ginkgo tree during snowfall in Lynn, Massachusetts. Click here to see an enlargement on my website. This photo was sent to me by David Lent, thank you! 200th anniversary Goethe poem "Ginkgo biloba"
Poem "Ginkgo biloba" by Goethe (enlargement on my website). 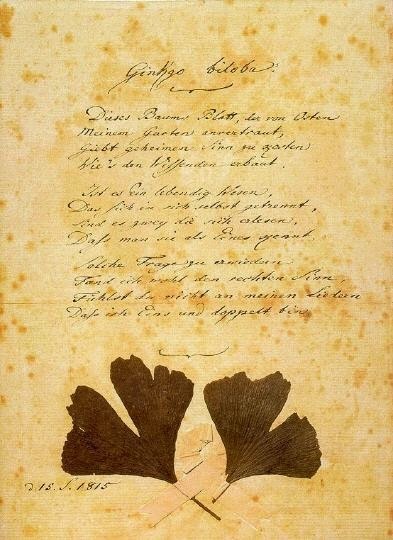 200 years ago Johann Wolfgang von Goethe, the German poet, botanist and philosopher, dedicated the poem "Ginkgo biloba" to Marianne von Willemer. He sent her a Ginkgo leaf. 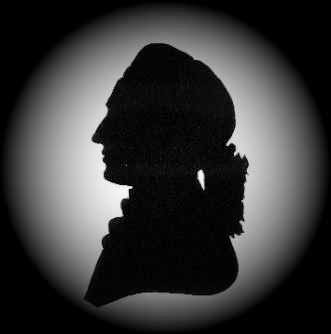 On September 15, 1815 he read his draft of the poem to her and friends. On September 23, 1815 he saw Marianne for the last time. Then he showed her the Ginkgo tree in the garden of the castle in Heidelberg from which tree he took the two leaves pasted by him on the poem. The Ginkgo leaf symbolizes Goethe's theme, one and double. More info and translations of the famous poem on my website. * Added: Asteroid Ginkgo to Name-page. * New topic: Asteroid Ginkgo. 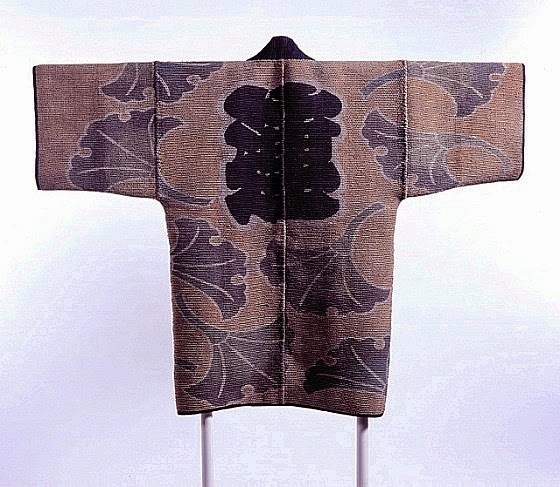 Reversible fireman's coat (hikeshibanten) with interlocking circles, Chinese characters (kanji) and Ginkgo leaves. Japan, late Edo period-early Meiji period, 19th century. Costumes; outerwear. Freehand paste-resist dyeing (tsutsugaki) and hand-painted pigment on plain-weave cotton, cotton thread quilting (sashiko), 35 1/4 x 47 1/2 in. (89.54 x 120.65 cm). Collection Los Angeles County Museum of Art.